With over 25 years experience in financial services, Kyong joined Cascadia Wealth Management in June 2014. As the Director of Client Services, Kyong’s primary responsibility is to focus on client relations to ensure the many unique and varied services Cascadia provides to clients are smoothly delivered and timely coordinated. Kyong is also responsible for overseeing the McMinnville branch office operations, event planning and marketing. Prior to joining Cascadia Wealth Management, Kyong worked in the banking and financial services industry with experience in sales, managing a branch, client relationship management in Private Banking & Wealth Management Group, Business Banking, Treasury Management, Corporate Credit Services and sales & service in Retail Banking. 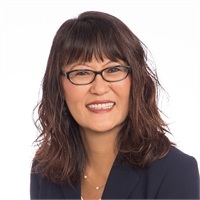 Kyong is a graduate of University of Phoenix with a degree in Bachelors of Science in Business Management. She is past President of Institute of Management Accountants (IMA), Past Board Member of Community Music Center, and past member of Women in Insurance & Financial Services (WIFS). Kyong has been married for 27 years and they have a son who is a sophomore and an athlete for the Men’s Soccer team at Loyola Marymount University (LMU) in Los Angeles, CA.